The Dutch sound of the 21stcentury has possibly revolutionised the world of EDM. 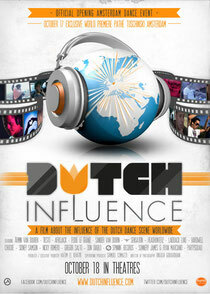 ‘Dutch Influence’ is the feature length documentary that tells the tale of the producers and DJs behind the sound once locked away in Holland, now arguably changing the global face of music. The movie is set to premiere at this year’s ADE on Wednesday October 17. You should be a part of a contest for one of the most useful blogs on the net. I'm going to recommend this web site!